Having featured the literary bond between Charlotte Brontë and Elizabeth Gaskell on this blog, and touched on it in our book A Secret Sisterhood, we were delighted to receive a message from Susan Dunne, who is writing the first full-length biography of the friendship between these two authors. If this piece inspires an idea for a future Something Rhymed post, please do get in touch here. 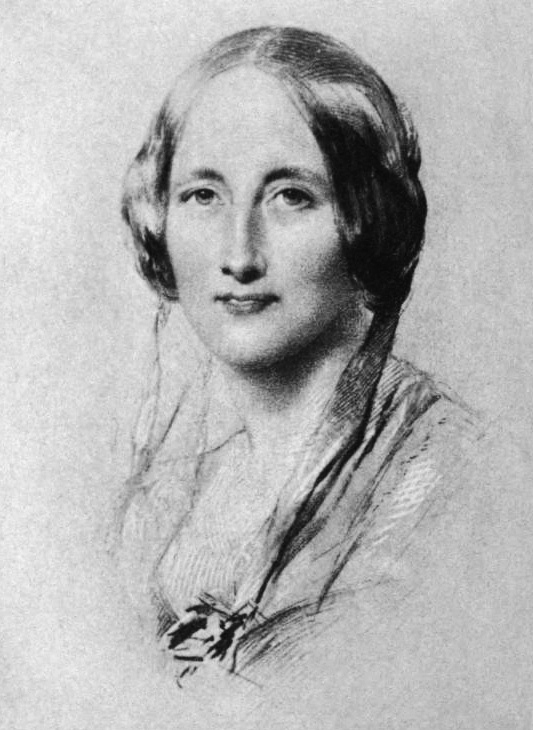 Elizabeth Gaskell (portrait by George Richmond, 1851). This image is in the public domain. How far should you go to save a friend’s life – risk your own, break the law, face the wrath of family and friends? It seems that Elizabeth Gaskell would have been prepared to do any of these to save her friend Charlotte Brontё from death caused by pregnancy. Gaskell and Brontё met in 1850 and formed a lasting friendship based on their experience as fellow novelists. Both shot to fame with their first published novels, Mary Barton and Jane Eyre, and both endured the dubious pleasures of being northern English women lionized by London society. They subsequently met just three times but their correspondence shows a deep mutual respect and affection. Their friendship went beyond their lives as writers: Gaskell was a married mother of four girls and she actively promoted Brontё’s marriage to her father Patrick Brontё’s curate, Arthur Bell Nicholls, by trying to find him a more profitable position through engaging the help of the influential Yorkshire parliamentarian, Richard Monkton Milnes. Nicholls was offered two curacies, one in Lancashire and one in Scotland but turned both down to remain in Yorkshire, near to Brontё. It is ironic that following her marriage to Nicholls in June 1854, Brontё’s correspondence with Elizabeth was curtailed due to Nicholls’s High Church proclivities. Nicholls was intolerant of dissenters, and in particular of Unitarians like the Gaskells whose faith did not recognize the divinity of Christ. From the start of her engagement, Brontё knew that her continued friendship with Gaskell would not be easy but hoped that the day would come when Nicholls would ‘see both you and Mr Gaskell’. 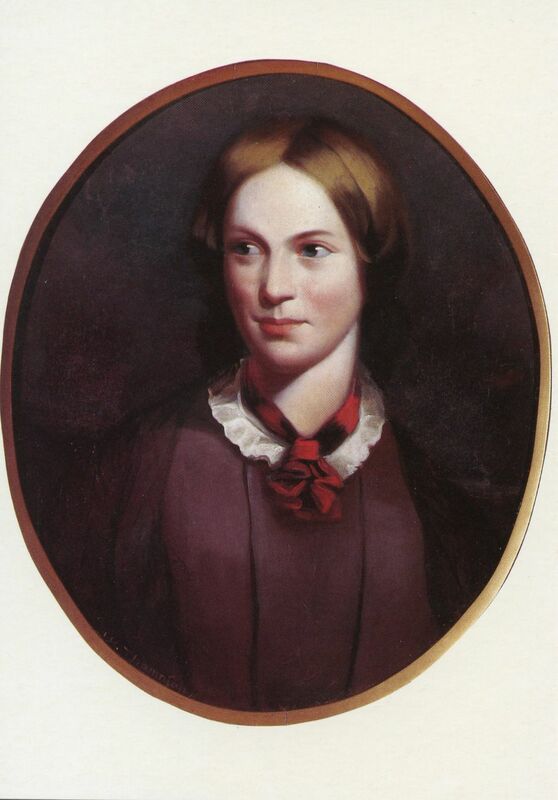 Charlotte Bronte – portrait by J.H. Thompson. This image is in the public domain. By the time Brontё began to suspect that she was pregnant in February 1855, she had had no correspondence with Gaskell since October 1854. Brontё’s pregnancy was confirmed by the local doctors but all was not well – she began to suffer from what is now commonly believed to be hyperemesis gravidarum, a particularly virulent form of pregnancy associated sickness. Today the condition, which can lead to severe dehydration and kidney failure, can be treated but in Brontё’s time it was likely to prove fatal. She died in March 1855, her unborn child dying with her. The only hope of saving the mother’s life in such a case was to abort the child, but the law did not permit this. The 1803 Ellenborough Act had made it an offence for any person to perform or cause an abortion on a quickening child, punishable by death or transportation for 14 years. The law was subsequently amended but it remained an illegal act and certainly not one that would have been sanctioned by the church or churchmen like Brontё’s husband and father. Despite the official legal, moral and religious stance, in an age when pregnancy posed a very real threat, termination either to save the mother’s life or for economic reasons was not uncommon. Although necessarily a taboo subject, abortion was far from unknown behind closed bedroom doors. When Gaskell heard from the Haworth stationer John Greenwood that her friend had died as a result of her pregnancy, her response was unhesitating: “I do fancy that if I had come, I could have induced her, – even though they had all felt angry with me at first – to do what was so absolutely necessary, for her very life”. She later reiterated to Brontё’s publisher, George Smith, that she might have been able to save Brontё’s life if she had only known. Unlike Brontё’s other principle friends – Ellen Nussey, Mary Taylor and her old headmistress and former employer, Margaret Wooler who were all unmarried and childless – Gaskell was no stranger to the workings of the female body. She had been through seven pregnancies by the age of 36 and through her charitable works amongst the textile workers of Manchester would have known that unwanted pregnancies were rife. For the working class, crude methods of getting rid of unwanted children were employed, including sharp instruments, induced falls and, in the most desperate cases, infanticide following birth. For middle class women, information about abortion was at once covert and overt: newspaper adverts offering pills which should not be taken during pregnancy were widely understood to be advertising abortifacients. It is possibly this which Gaskell had in mind when thinking about inducing Brontё. Whether Gaskell could have saved Brontё’s life is a moot point. Brontё was 38 at the time of conception – a very late age then to have a first child – and she was notably small. She had once told her friend Ellen Nussey that full woman size chemisettes were too big for her. Moreover, although she had been well since her marriage, Brontё’s physical health was not particularly strong – given the high maternal mortality rates of the time she was at high risk. The fact that Gaskell was prepared to both break the law and risk the wrath of those around Brontё to save her friend’s life, suggests that theirs was a friendship that went much deeper than that of their shared writing interests. Unable to save her friend’s life, she was determined to pay homage to her friend and create a lasting legacy by writing The Life of Charlotte Brontё which came out two years after Brontё’s death. It has never been out of print. Susan Dunne is a journalist and researcher. She is currently writing the first full-length biography of the friendship between Elizabeth Gaskell and Charlotte Brontё. Her memoir, A Pony in the Bedroom was published by Jessica Kingsley in 2015. An excellent post – very moving and shocking – what a good friend Elizabeth Gaskell was. Thanks for getting touch, Ann. As soon as Jane pitched us this idea, we knew we’d be interested in featuring this piece on Something Rhymed. We’re so glad you liked it. I am over the moon the friendship between C. Bronte and Gaskell will be written. Enthusiastically anticipating its pub date! Thanks for commenting, Nan. We’re sure Susan will be delighted to hear that.